Attack 1 : Kitty Litter Fling! 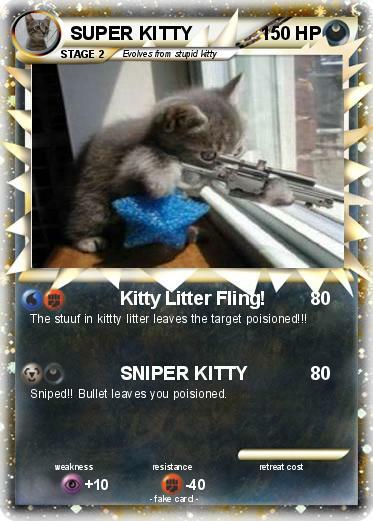 The stuuf in kittty litter leaves the target poisioned!!! Sniped!! Bullet leaves you poisioned.